Gennaro Contaldo is an Italian chef and restaurateur who has kept me entertained for years, with his engaging personality and passion for food and cooking. His series with Antonio Carluccio called Two Greedy Italians was a joy to watch. He also is credited as being the person who inspired Jamie Oliver to learn all about and fall in love with Italian food when he worked with him. Gennaro is still involved in Jamie’s Italian restaurant chain (which I love and visit a lot). So when I was sent his cookbook Gennaro’s Family Favourites to try out I couldn’t wait to get cooking. It’s subtitled “Authentic recipes from an Italian kitchen” and is packed with over 100 delicious recipes that are wonderfully easy to cook. From simple pasta dishes like farfalle with pancetta and peas, spaghetti with courgette carbonara and conchiglie with rocket pesto and cannellini beans to more complicated feasts like marinated rabbit with olives, capers and pine kernels, porchetta (gotta make this one) and rack of lamb with artichokes and sun-blushed tomatoes, there’s plenty to choose from. I love a good sausage dish and am also partial to lentils (something I always mean to eat more of), so the first recipe I had to try was the lentils stewed with sausages. 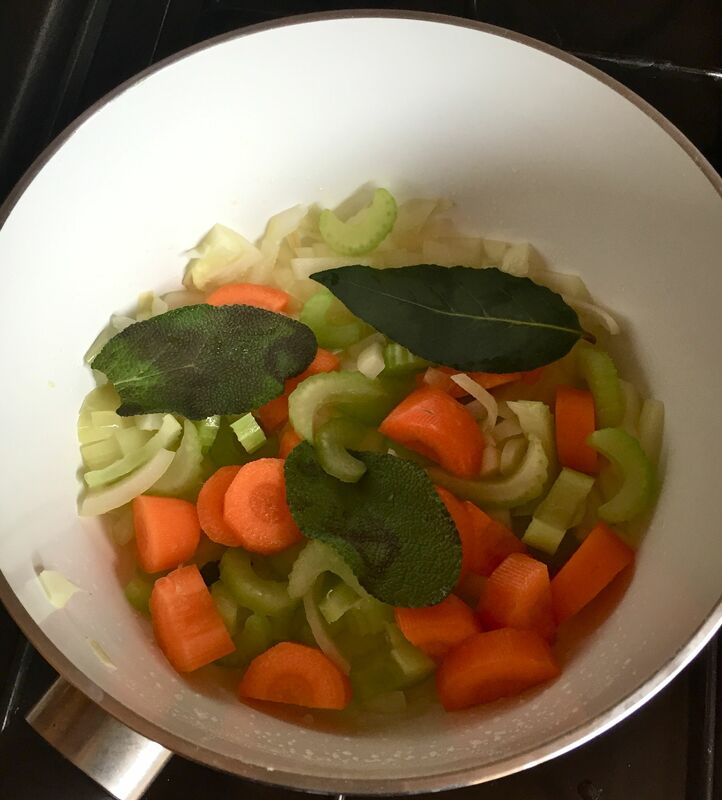 From the moment I started frying the base to this dish, composed of the most basic of ingredients – onion, bay leaf, sage, celery and carrot – the most tempting aromas filled my kitchen. 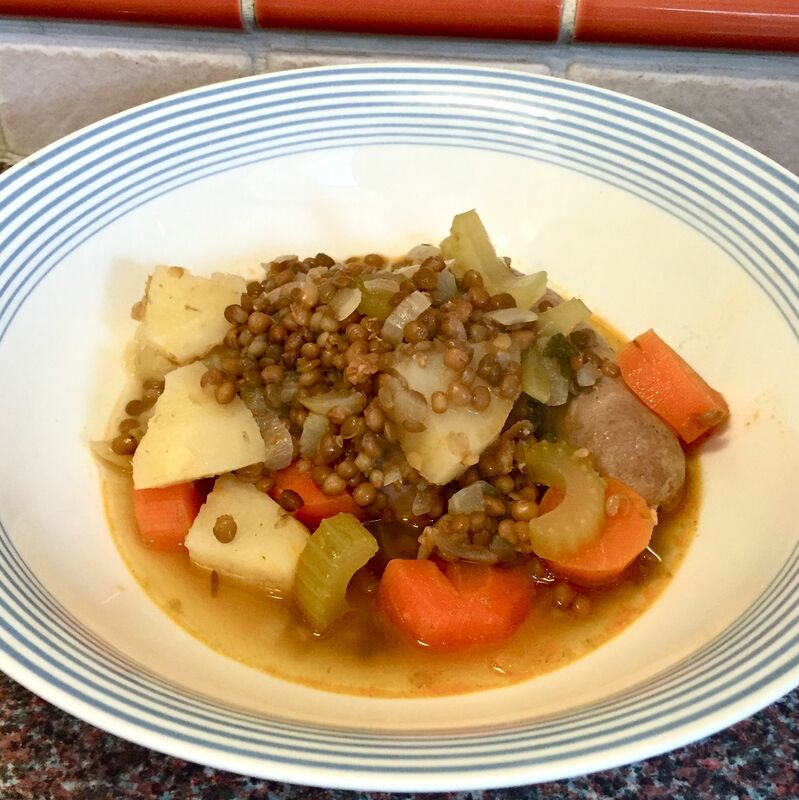 Add the sausages, lentils, potatoes and stock, leave to cook and you’ve created a wonderfully flavoursome casserole-style dish. 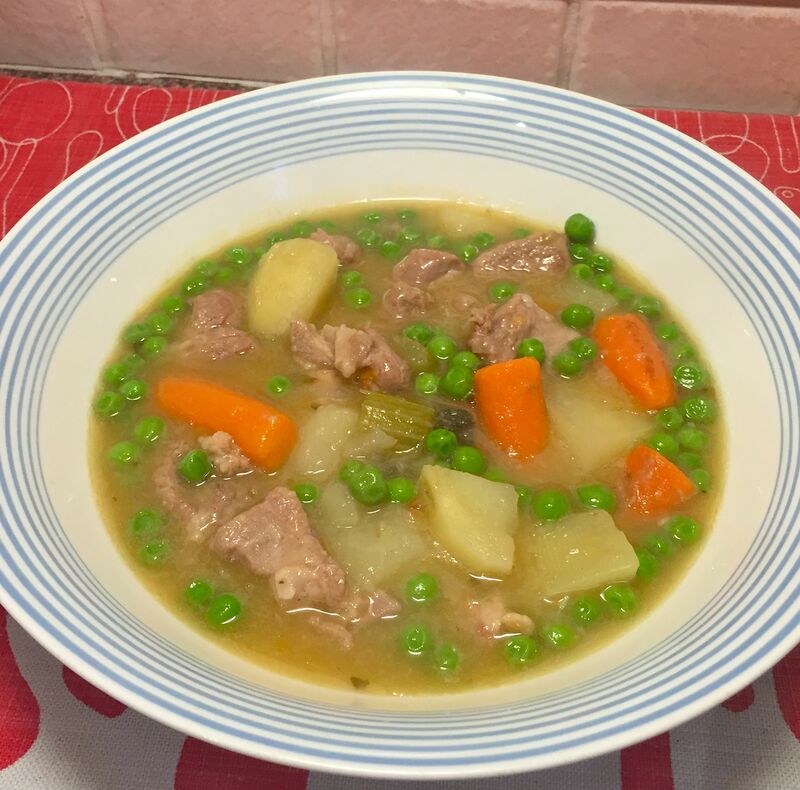 Next up a pork stew with potatoes and peas. Again easy and quick to make with few ingredients coming together to make a wonderfully comforting stew. The pork turned out perfectly tender and combined beautifully with the sweetness of the peas and carrots and more fresh sage. I didn’t intentionally choose two recipes using fresh sage but it did remind me what an aromatic and tasty herb it is to cook with. This is a book I’m sure I will cook more and more from. Thank you Gennaro. 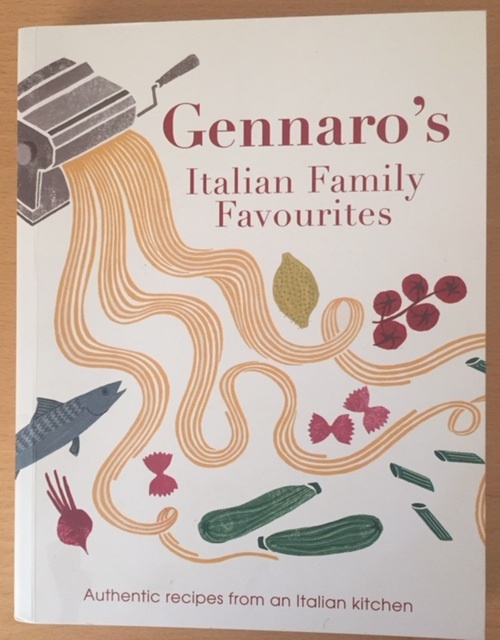 Gennaro’s Italian Family Favourites is available on Amazon for £13.50.